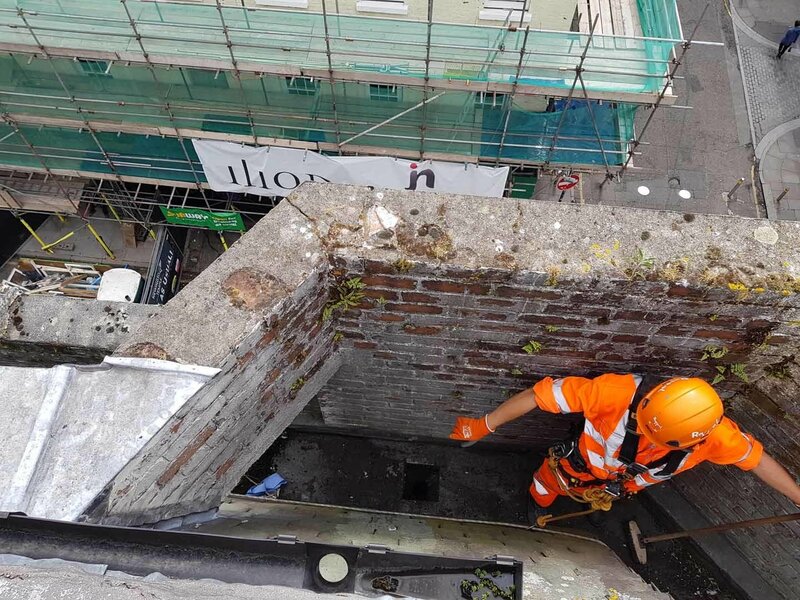 Rope Access based work restraint system. EN 361 / EN 358 / EN 813 full body harnesses, EN 1891 semi-static rope, EN 795 dead weight trolley anchors. 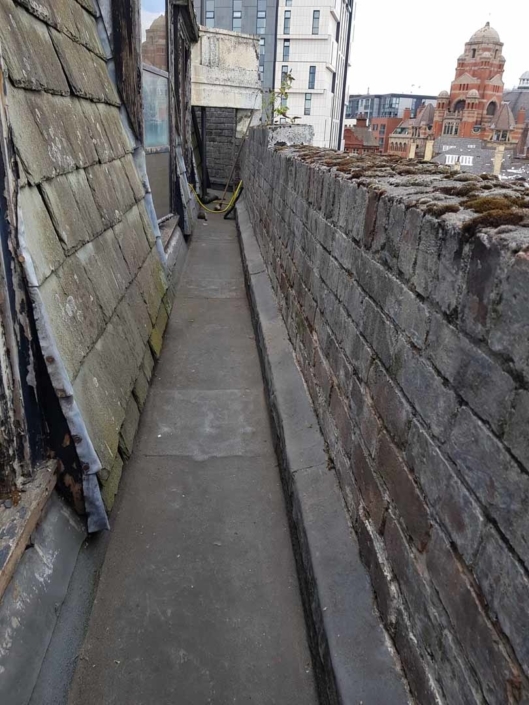 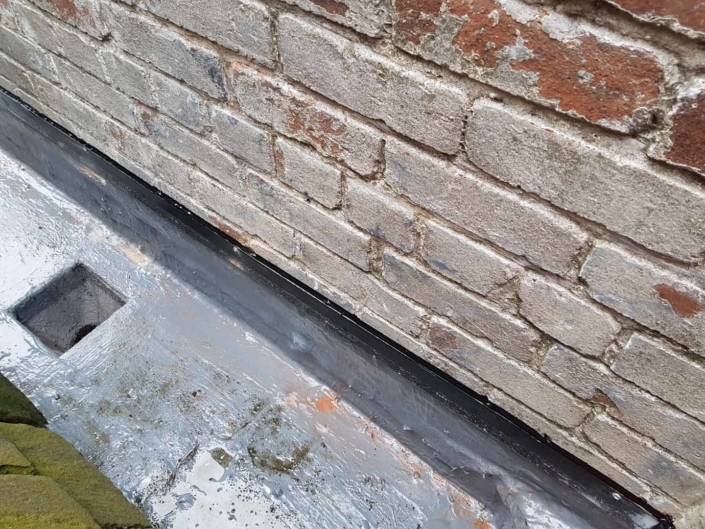 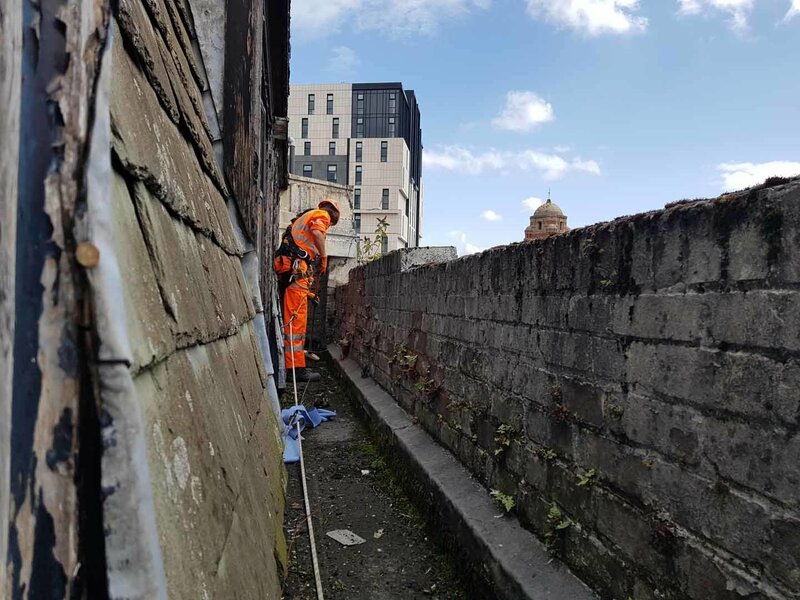 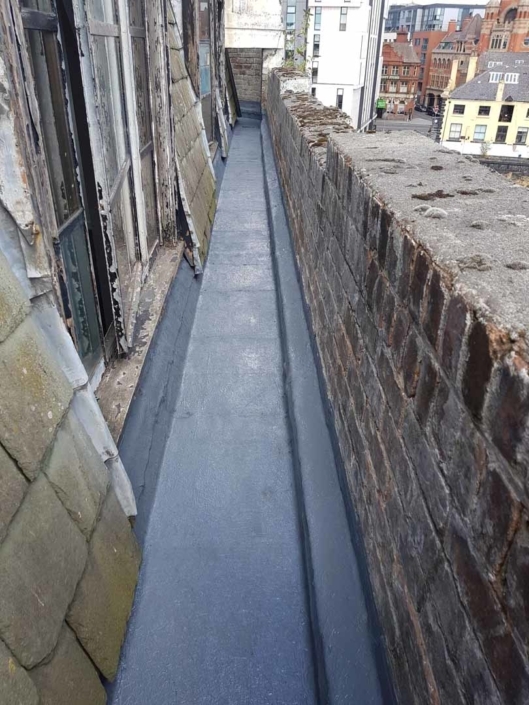 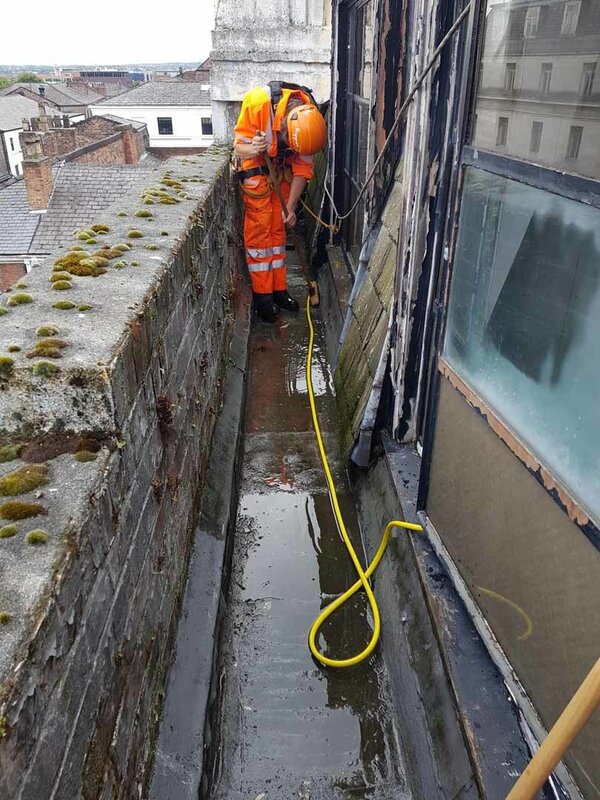 Our building maintenance services were requested to undertake the installation of a gutter waterproofing and lining system to a commercial retail property in the heart of Liverpool city centre. 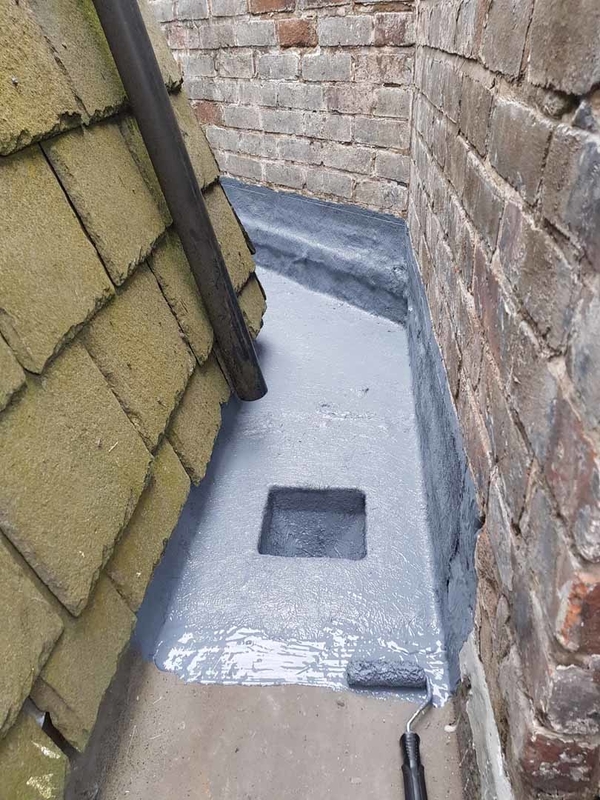 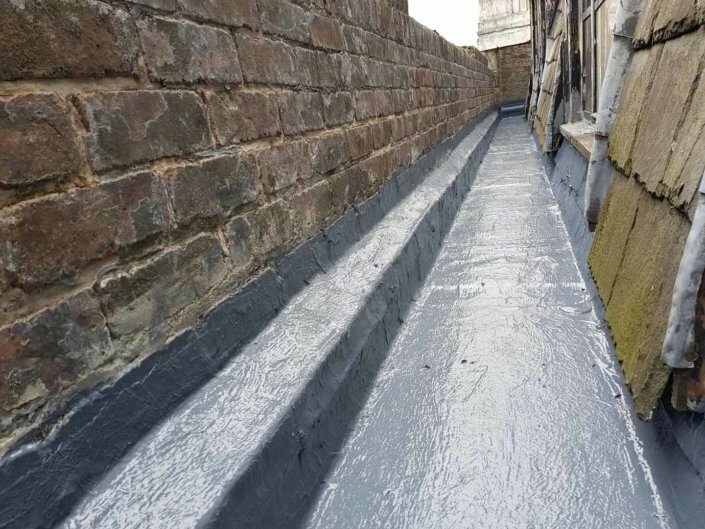 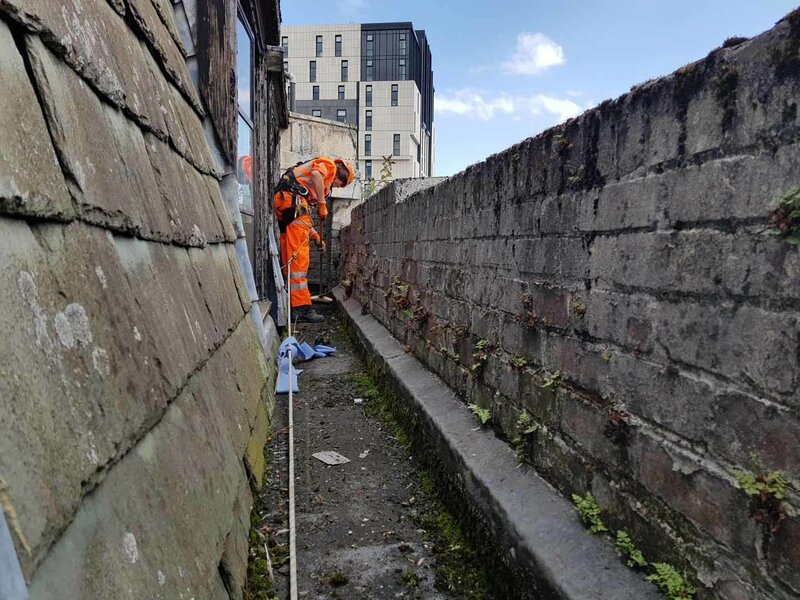 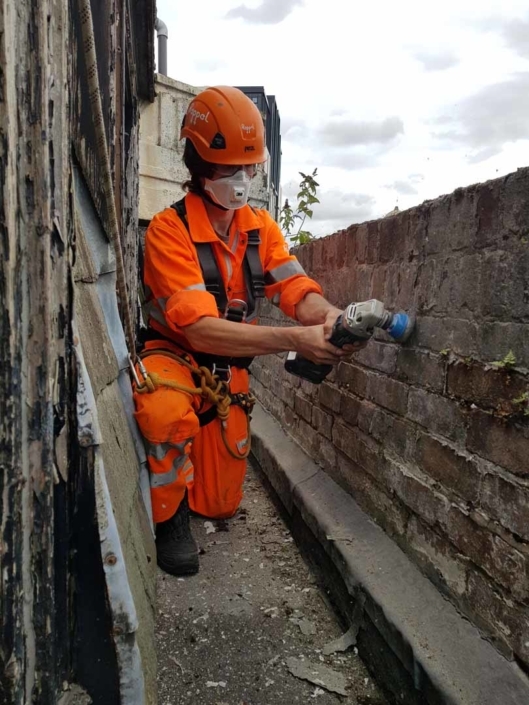 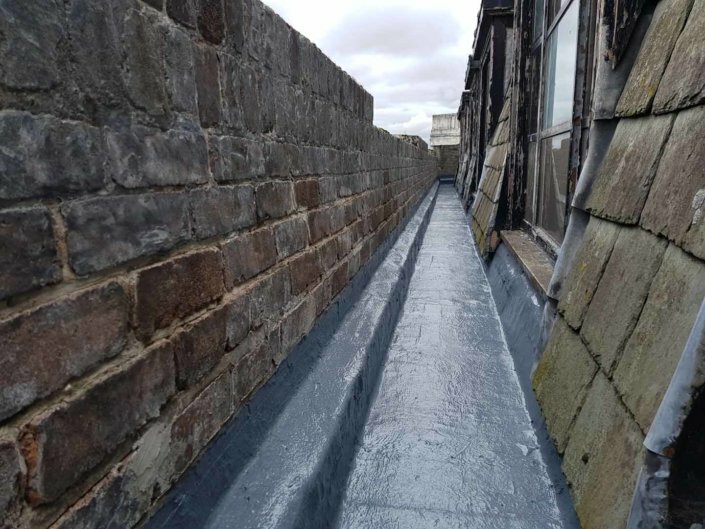 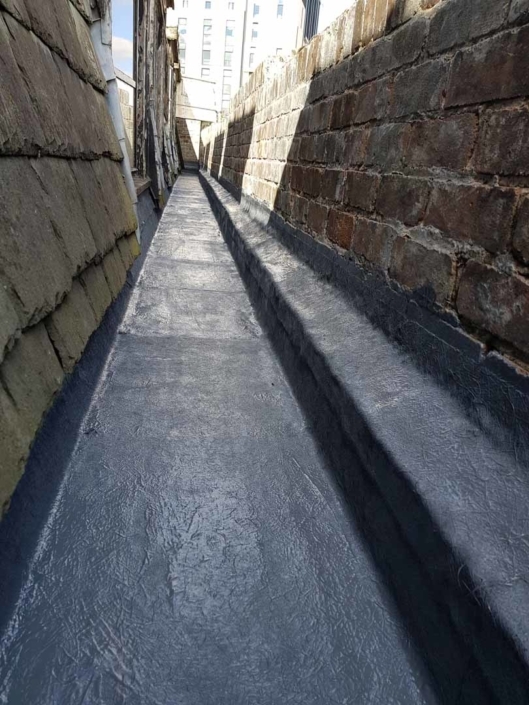 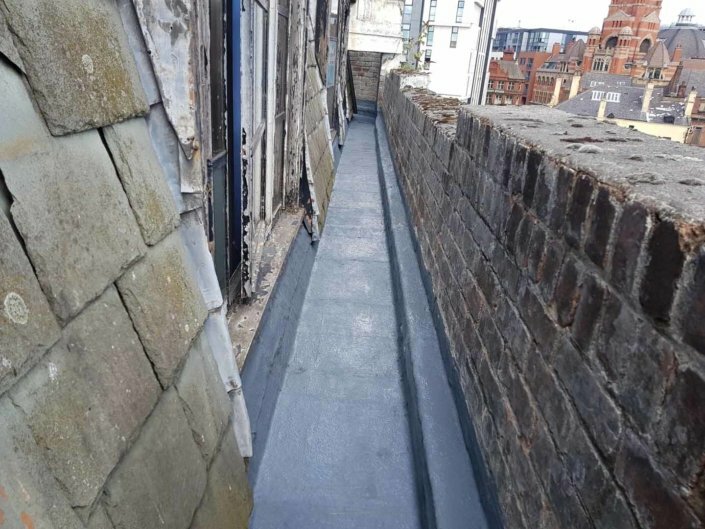 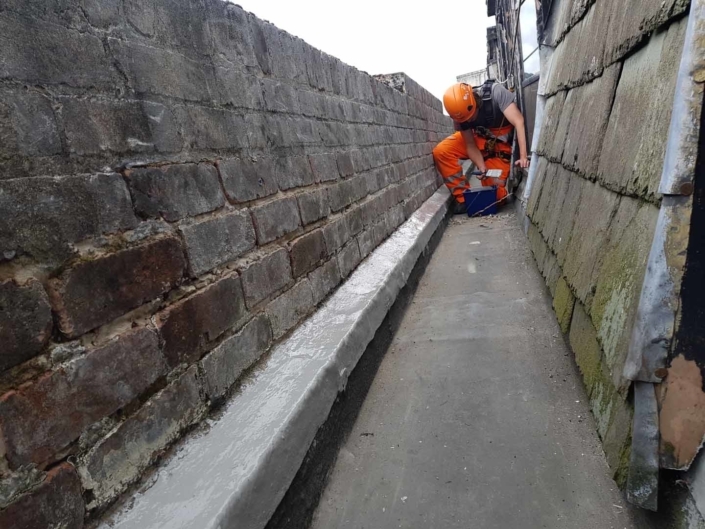 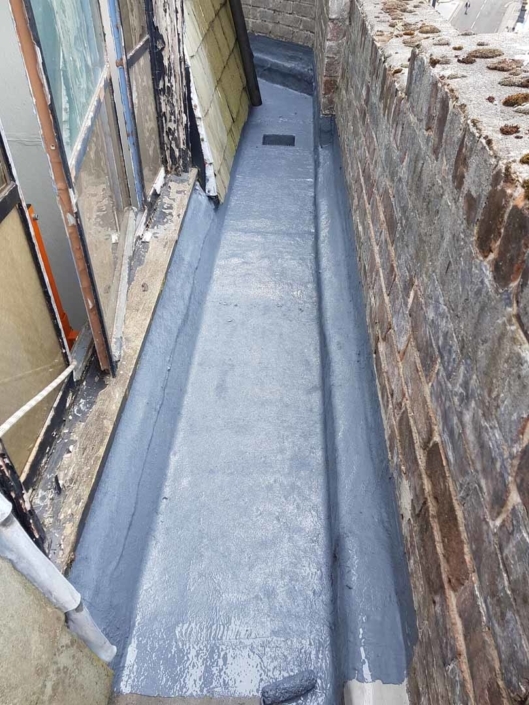 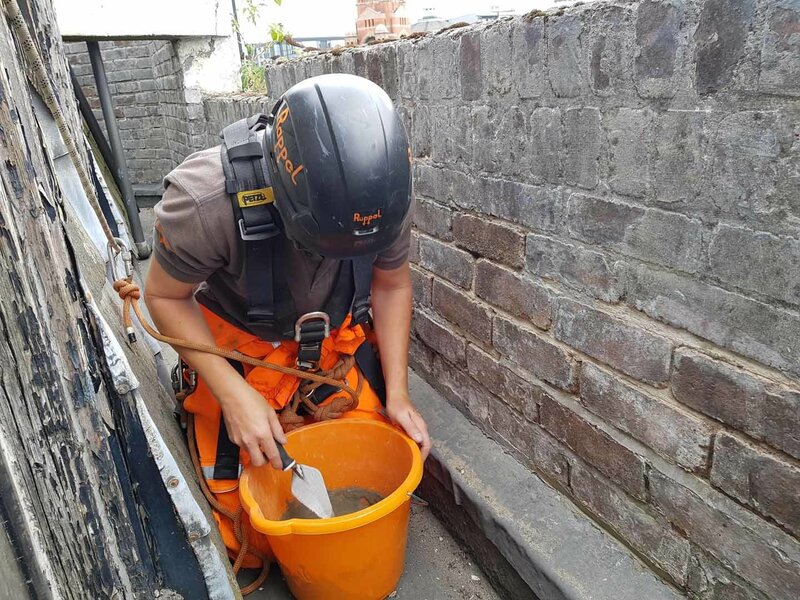 All existing dirt, debris and vegetation growth was removed and the surfaces cleaned and prepared prior to the application of a new Sika based gutter lining system. 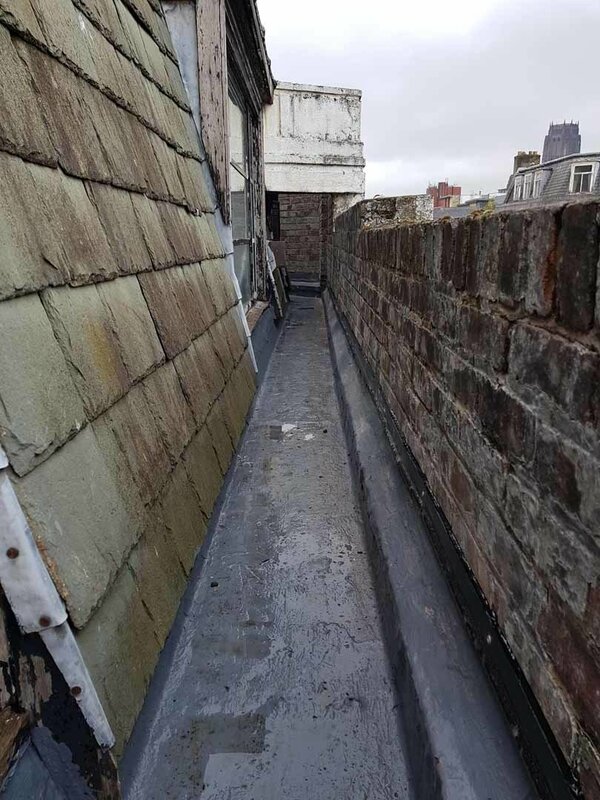 The masonry walls adjacent to the mansard gutter were also treated and sealed as part of the works.